You can express your love, affection and faithfulness by giving a girl from Riga (Latvia) a bouquet of 19 roses. And the best online shop of floristry KROKUS will help you in this. Do you want to arrange a pleasant surprise for your beloved and confess your love and faithfulness to her? Then feel free to order a bouquet of 19 roses in the best online floristic shop in Riga and all over Latvia – KROKUS. An exquisite and elegant gift to a loved one will be a delightful bouquet of 19 roses delivered to the address in Riga or any other city of Latvia. Bright, delicate and fragrant composition is able to decorate the interior, complement the elegant outfit of a girl, effectively mark out a lady in society. Every beauty from Riga and all over Latvia dreams of receiving a gift of 19 roses, meaning affection, sympathy, passion and love. 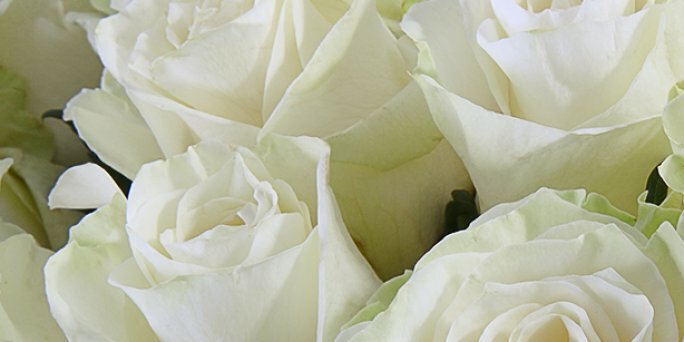 White rose delivery in perfect state to anywhere in the capital! The best online floristic shop of the capital offers all clients from Riga (Latvia) to order a chic composition of 19 roses of any rouges signification and colour with delivery to the address of home, office, hotel, restaurant, wedding, graduation and any other event. 19 yellow roses, presented as a sign of admiration, reconciliation, wishes of happiness and joy. Order 19 roses with delivery in Riga (Latvia) today! To make an order for sending to Riga or any other corner of Latvia a bouquet of 19 pink roses, white, red, blue, yellow roses is very simple. It is enough to use the convenient online service of the online shop KROKUS or call the manager of our company at the specified number. The best floristic studio offers its customers the most adequate prices in all over Latvia, a huge selection of the freshest flowers, a wide range of courier services. To send roses to riga online is possible from anywhere in the world, simply by making an order on our website!